Selecting the best nursing school in Wyoming can be difficult. To make the process easier first look for a school that supports students towards licensure and beyond. A great way to measure this is through NCLEX-RN "pass rates." We have ranked the top 3 nursing schools in Wyoming by analyzing current and historical NCLEX-RN "pass rates", meaning the percentage of graduates who pass the exam, out of the 9 RN programs in the state. Programs reviewed include schools that offer an Associate in Nursing (ADN/ASN), BSN, or Direct-Entry MSN Degree. Over the next few years Wyoming health care is going to need nurses that can provide the highest quality care for their patients. The state is fostering higher education to fulfill the expected need. 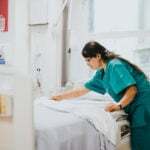 With the mean salary for a registered nurse in Wyoming landing at $62,080 (according to the Bureau of Labor Statistics), and with 39 Health Professional Shortage Areas (HPSAs) that face a lack of primary care, nursing jobs will only continue to grow. 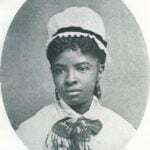 Approximately 200 nurses per year will be required to meet the needs of the state and quality health care depends on a higher standard of practice. The majority of schools in the state with nursing programs offer Associate's Degrees in Nursing (ADN). An ADN is one of the quickest routes to becoming a registered nurse, as it is a 2-year program. There are over 5 schools in the area that offer ADN programs accredited by the Wyoming State Board of Nursing. Most of these schools are community/junior colleges. You will want to find a school that has legitimate accreditation to ensure that it's up to industry standards. 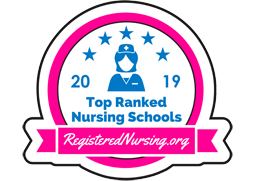 Aside from an accreditation from places like the Accreditation Commission for Education in Nursing (ACEN) and the American Association of Colleges of Nursing (AACN), you will also want to look for schools that hold accreditation from the Wyoming State Board of Nursing. You will want to ensure that upon completing the ADN program at your preferred school that you will be eligible to take the National Council Licensure Examination for licensure as a Registered Nurse (NCLEX). In 2015, 329 individuals in Wyoming took the NCLEX, and 84.5% of them received licenses. Casper College, located in Casper, Wyoming, is a great example of a school that offers an accredited ADN program in the state. There are various ADN programs in the state, and each of them has unique tuition costs. It's important to remember that tuition is just one portion of what you'll be paying for. Textbooks, fees, and uniforms are all examples of costs you may incur, and these may or may not be included in the price of your school's tuition. As an example, the estimated cost for the 2-year ADN program at Northwest College in Powell, Wyoming is $10,161 for tuition including books, uniforms, and extras, but excluding room and board. For those seeking room and board, the full cost of tuition and extras is $17,821. The advantage to going through an ADN program is that it's offered at most community colleges in the state, giving you a broad array of programs to choose from. Since an ADN only takes 2 years to complete, it's also more affordable than going through longer programs. Community and technical colleges also tend to have more flexible class schedules, meaning that an ADN is a great choice if you are looking to transition to a new career but are still working full-time. Licensed Practical Nurses, or LPNs, in Wyoming have the ability to take a "bridge" program in order to become Registered Nurses. These types of programs can advance a nurse's career by building on the education and skillset that they already have through their LPN training. Two options are available: the LPN to ADN and the LPN to BSN pathways. If you are interested in earning a more advanced nursing degree, a Bachelor's of Science in Nursing (BSN) might be the choice for you. Although a BSN takes approximately 4 years to complete, it will open up greater career options and earning potential. Larger universities tend to offer BSN programs. The University of Wyoming at Laramie is the main school that offers a BSN in the state. If you are looking for a brick and mortar school to earn your BSN, you will most likely be looking at the University of Wyoming. As with ADN programs, it is crucial to look for BSN programs that is accredited and will prepare you for your licensure exams. The University of Wyoming at Laramie offers an accredited BSN program. BSN programs are 4 years in length. However, if you are already an RN, you can earn your BSN in approximately 2 years. Inquire with your school of choice regarding the options. BSN tuition costs can vary widely. At the University of Wyoming, aside from your nursing course fees, you will have to pay additional fees for textbooks, room and board, and other expenses including uniforms, CPR certification, health records, and more. Upon graduating, you will also need to pay the $190-$195 licensure examination application fee to the Wyoming State Board of Nursing in addition to the NCLEX exam fee of $200. Going through a BSN program has the advantage of giving you greater career advancement options and earning potential. You can also do the RN to BSN program if you are already a nurse looking to advance your career. 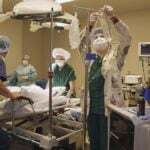 The University of Wyoming is the main school in the state to offer a Masters of Science in Nursing Leadership (MSN). This advanced degree can lead to nursing jobs including Clinical Nurse Specialist, Certified Nurse Midwife, and Nurse Practitioner, among other specialties. You must already hold a BSN if you want to move on to an MSN. An RN to MSN program can last roughly 3 years, depending on the school and the previous coursework the student has taken. The MS Nurse Leader program at the University of Wyoming is an online, part-time program of study and is required to be completed within six years. Submit your CV with employment history, certifications and licensure, teaching experiences, academic history, publications and presentations, memberships and activities in professional associations, list of continuing education experience, and recognitions and awards. 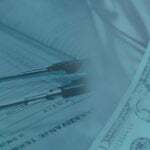 Costs for MSN programs can vary widely. Aside from the class fees, the MSN program at the University of Wyoming will require you to pay for your background checks and books separately. 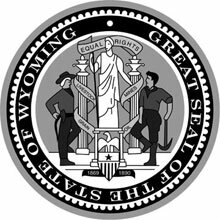 Wyoming Board of Nursing has regulations that require candidates to complete the application process and submit other documentation. Put your career on the fast track by taking advantage of the accelerated BSN program offered within the state. You could graduate from the program in only 12 to 18 months time, this time frame could be extended if you are required to take additional course prior to entrance into the degree program. This program can be intensive in nature because of the full-time studies and clinical hours required to graduate, it could be what your career needs to move above and beyond. Fees are associated to number of credit hours required and the rate at which each are charged. Western Wyoming Community College in Rock Springs offers an exceptional ADN program designed to be completed over 5-6 consecutive semesters. Throughout the 67 total semester credit hours required, students learn about psychology, acute and chronic illnesses, anatomy, and more. Visit the Western Wyoming Community College nursing website to learn more. Central Wyoming's nursing program is designed to optimally prepare students for a career as a RN, and to practice in the complex and constantly evolving healthcare environment of today. Experienced nursing faculty members emphasize hands-on, team-based, and active learning with multiple patient care opportunities. Students get to practice in a sophisticated simulation laboratory and at partnering clinical agencies. Get all the program details by visiting the Central Wyoming College website. Northern Wyoming Community College District's Sheridan College is committed to being a community-focused program. Community partners play an important role in the development of the district's nursing students. Through time spent in local hospitals, clinics, community centers, and nursing homes, Sheridan students get unrivaled exposure to different healthcare protocols, patient environments, and a variety of nursing specialties. Get all the program details by visiting the Northern Wyoming Community College District - Sheridan College website.